When asked to conduct a review of the Final Audio Design Sonorous III I, of course, said yes. By now everyone who visits the site know I have a soft spot for this craziest of crazy Japanese headphone manufacturers. They are without a doubt one of the most wildcard names in the audiophile headphone game. The company is firmly committed to going all out inproducing some of the most insane audio gear on the market today. Myself, I have owned my fair share of FAD products and many other audiophiles swear by them. Conversely, some find themselves put off by the often stratospheric price points on some of their highest end offerings. A couple of years ago the Final Audio Design Sonorous VI (then called Pandora Hope VI) was released marking the Final's entry into the high-end headphone market. I was so impressed it led me to sell off my much-loved set of Audeze LCD-2. The Pandora Hope VI was a show stopper, to say the least. Stunning good looks, incredible fit & finish paired well with a rich detailed sound containing a gigantic soundstage. I still use them daily. In recent months, the price on the VI's has fallen to just under $700 (in the US) but that still remains a whole lot of money and a huge barrier to entry for most people. 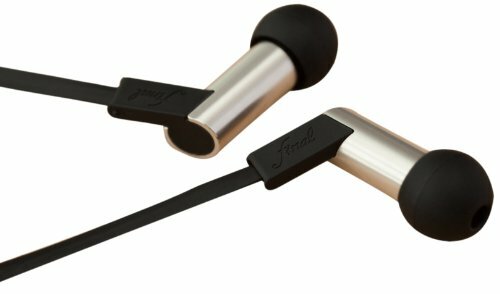 Final Audio seem to finally be acknowledging that to target the masses and entice a new generation of audiophiles they need something most wallet friendly. With that, The Sonorous III are here now released and come in $300 cheaper than their big brother. What we want to know in this review is, has Final Audio managed to retain what made the original Hope VI special whilst taking measures to reduce cost? Connector - Straight, 3.5 mm stereo jack. Compared to other models in the Final Audio Sonorous line we find the III's packaging and accessories to be pretty modest. The box is just standard cardboard fair and the headphones themselves are suspended in more cardboard on the interior. It's not impressive but there should be no problems in keeping the headphones in good shape during transit. Graphics on the box are much more consumer orientated making it better for direct sale in stores where the buyers can get a fair bit of information about what lies insided without having to google this niche brand. It's clean and to the point even if it is rather uninspiring. Packaging on the Sonorous VI was absolutley bonkers and undoubtabley over the top. They came with a crazy faux fur lined heaxagonal case the likes of which I had never seen before or since. I assume that case adds greatly to the final cost of those headphones so cutting back on the extravagance of the packaging is ok with me if it cuts down on shortcuts in design and sound. Accessory wise there is also very little to write home about but that is something most headphones at any price have in common. We find most headphones do not come with too many extras but I still wish final would have included some form of carry case. Again we are trying to cut unnecessary costs here but even a carry bag would have sufficed. A detachable cable is included which is considered a neccesity rather than accessory and we will talk about that more in the build section but other than that you only get treated to a basic gold plated 3.5mm to 1/4 inch jack adapter. The styling on my Sonorous III is nearly identical to that of my Sonorous VI barring the use of some cheaper materials. The more expensive X and VIII and VI all share the same basic aesthetic and there is a lot of trickle down goodness going on here. The earcups are formed from tough, and hard wearing ABS. The headband slider for adjusting size seems to be the same smooth and robust metal design in the higher models as well, great stuff. There's a nice swivel point on the cups to help angle them to your heads shape and then everything else is swathed in a brilliant soft touch protein leather. The headphones feel very solid, very much on a par with similarly priced offerings from Sennheiser and Beyerdynamic. However even though the design is going to be more than capable of taking the abuses when used as a portable headphone I still wouldn't recommend doing so. Why? you ask? Well simply put they are a very physically large set of headphones when worn on the head. I use my on Sonorous at home and have no issue doing so but I wouldn't even consider taking them on a train or plane when I can use smaller more practical on ears like the Master & Dynamic MH30. The cable is brilliant, it is extremely resistant to tangles. Final Audio Design has chosen to keep using the dual entry cable design. I think this is a great thing as it just feels more balanced on the head than a single entry setup does. Splitters and jack points are all very robust being made from polished aluminium with good strain reliefs built up on the inside. To attach and detach the cable to the ear-cups is super simple, just insert, twist and they lock securely in place. Overall I love the way the headphones look and have absolutely no issue with the build quality. My VI's have been rock solid for years now and look exactly like they did on day one so I don't foresee buyers of the III to have any different an experience. There good looking, tough and, despite being one of the cheapest priced models in the sonorous lineup, still feel very much a premium product. The Sonorous III are of course over-ear full sized circum-aural headphones meaning that they go over your ears as opposed to sitting on them. This is just one of the factors that lead the Sonorous III to be a very comfortable headphone. I found that hours would go by and I had no issue at all with build up of excessive heat as my ears just had so much room to breath. The circumaural design wasn't the only discerning factor to the III's high levels of comfort a lot has to be said for the quality and softness of the earpads and headband padding. I believe Final Audio use some sort of memory foam for the padding and then have that wrapped in a protein (faux) leather. Trust me one of the first things you will notice is that despite the relatively high weight of the headphone the comfort derived from the contact points with your body makes them a very usable daily driver. Being that these are closed back headphones isolation was very good. Although i wouldnt advise them for such use given the size did take them out with me for the usual isolation tests such as walking about a very busy Glasgow city centre as well as bringing them on the bus and subway. All but the most abrasive of sounds were either removed from existence or muted to barely audible levels. Time and again throughout this Final Audio Design sonorous III review I found myself with a wide grin spreading across my face, these are good. We might as well go ahead and call them "the mini VI's" because so much of what makes the VI a great headphone is also present here. Clarity and soundstage are the main the areas of enjoyment. Instruments and vocals show more than adequate levels of separation. While I wouldn't call the III's speedy in the way of planars like to Oppo's PM-3 and Audeze's EL-8 they certainly weren't slow. The headphones and easily kept up with my more demanding test tracks such as 1812 overture and Toccata y Fugue. Soundstage is big, some of the biggest i have heard on a sub $500 closed headphone. I'm going to put this down to the BAM (Balanced Air Movement) technology which showed similar surprising results on FAD's Heaven VI cc and FI-BA-SS in past reviews. Tuning wise the Sonorous III work well with virtually all genres we threw at them. There's a lot of detail in the highs and it doesn't get overly hot or lead to fatigue. I didn't expect this as the balanced armature present in the VI's is gone and the single titanium dynamic driver is now responsible for the full spectrum. The mids are detailed, slightly warm and are especially well suited to intimate or acoustic music. Vocals, especially female vocals are a strong point of the III with singers standing out forward from the music helping to create an image of them singing at you as opposed to from a cluster of instruments. Bass though is where they stands out from other audiophile headphones. Competitors at this price are synonymous with a balanced and lean signature that often has little in the way of low end grunt. Believe me when I say the 50mm driver on this Sonourous III can absolutely bang when it needs to yet it still remains taught and speedy on more delicate tracks. Electronic music comes alive with sharp and articulate mid bass and when there is a need for sub bass these headphones have it in spades. As for use with source compatibility a nice DAC, amp or DAP will of course do you well in getting the most out of your music but a 16 ohms of impedance the Sonorous III headphones are incredibly easy to drive from almost any source. You can easily drive these guys direct from your phone or computer if you so wish. I'm having really tough job to find anything negative about the Final Audio Design Sonourous III. In the past when companies present their "budget headphone" offerings it has often turned out to be a disaster riding that rides the coat tails of higher end products. Those companies, who shall remain nameless for now, are guilty of taking cheap parts, drivers, cables etc and slapping a badge on top that the know consumers will jump on being none the wiser. Final Audio seem to have approached things differently. In a trickle down manner. It looks like they have taken their more expensive headphones and stripped away extravagances such as packaging and metals to cut the costs whilst leaving the necessities intact such as a high quality driver and contact points. Tuning as expected is bang on for those looking for a high end audio experience that will work with a wildly varied library of tracks. The Sonorous III looks to be a great entry into the lower end of the market and a great introduction to newcomers to Final Audio Design headphones. To find out more about the entire lineup feel free to visit the Final Audio Design Webpage. We would like to thank hifiheadphones.co.uk for loaning us the Sonorous III for review.